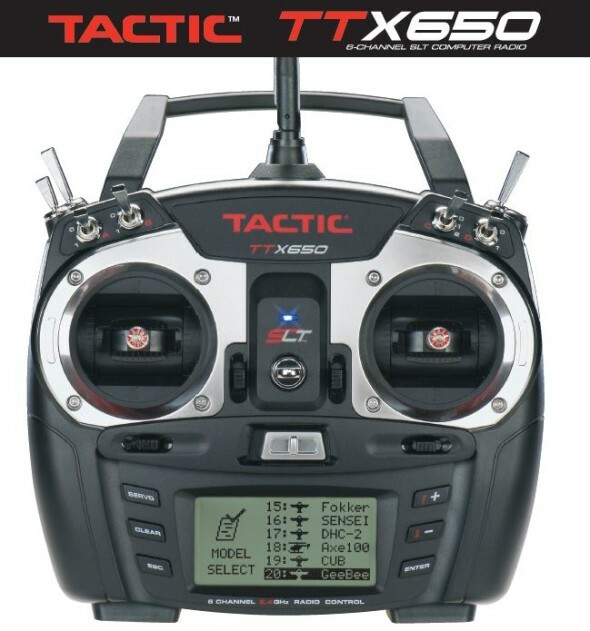 From now through October 31, 2013, modelers who buy select Tx-R (Transmitter-Ready) aircraft not only get a great fly, but a great buy: a Tactic TTX650 radio for just $99.99. The Tactic TTX650 is the company’s latest 6-channel as well as its first computer transmitter. Its value driven design already offers the reliability of the proven SLT 2.4GHz protocol, programming simplicity and advanced functionality at an affordable price. And now, modelers who buy select Tx-R aircraft through October 31, 2013 can get a TTX650 for the below-sale price of $99.99 — a savings of nearly fifty dollars. 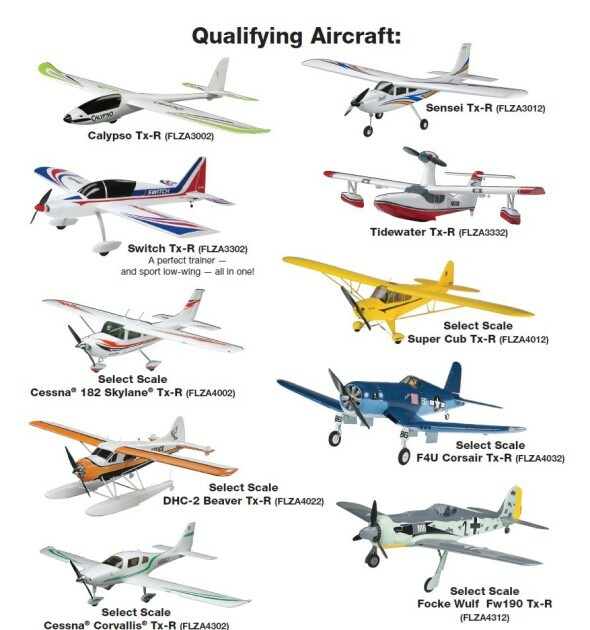 The Tx-R selection is broad and all-brushless, with choices that range from seaplanes and Select Scale™ classics to trainers, warbirds and a glider. Modelers looking for value, versatility and solid performance will find all three at participating retailers through the end of October. The TTX650 is the first Tactic computer transmitter ever offered — and the perfect perfect choice for flying up to 20 Tx-R aircraft! Previous Savöx 1270 Series Servos Dominate!